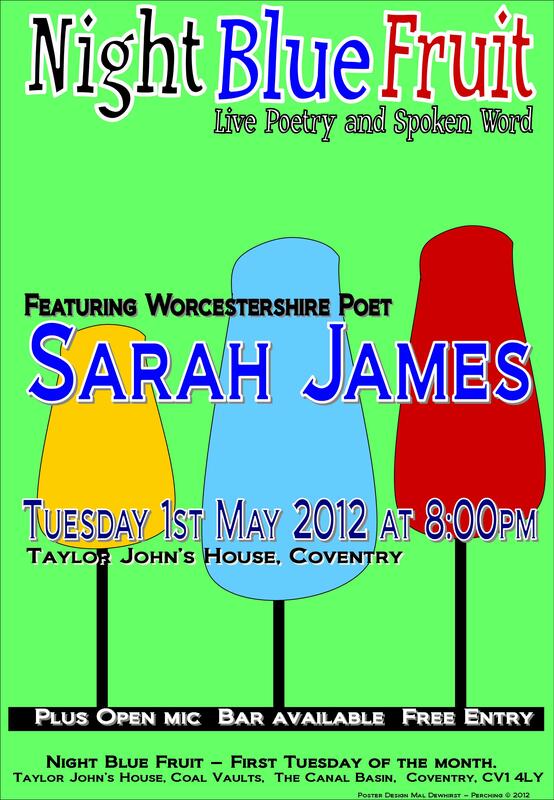 Tomorrow, 1st May sees Polesworth Poets Trail poet Sarah James headline at Nightblue Fruit in Coventry. 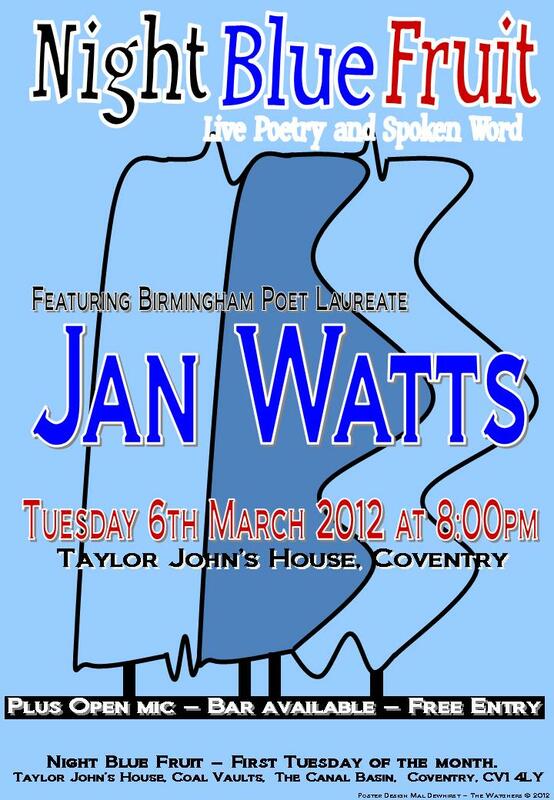 Taylor John’s House, The Canal Basin – Coventry – 8:00pm – Bar plus Open Mic. 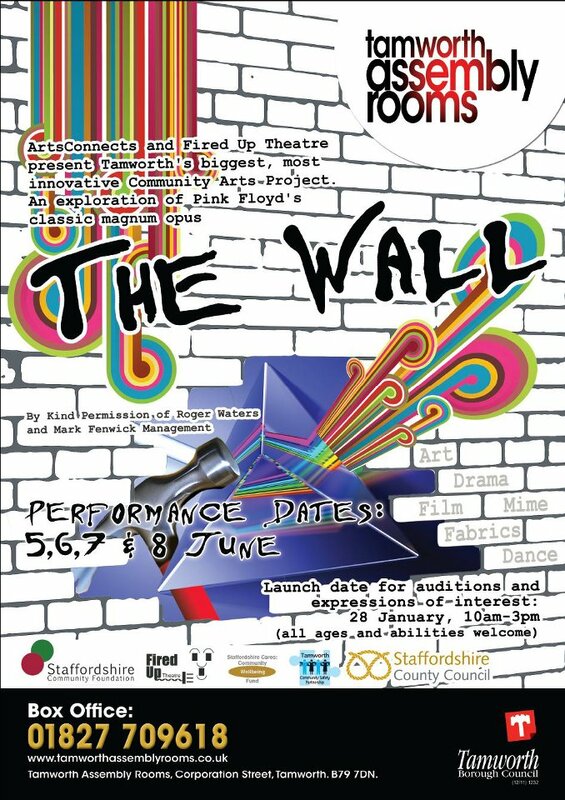 THE WALL – TAMWORTH 2012 is an Arts Connects – Fired Up Theatre production that sees the arts team at Tamworth Borough Council working along side Staffordshire’s Premier Community theatre company. This is a courageous project that brings together community artists and provides a platform for excellence in the delivery of the arts in the town. This to me is what Council Arts teams should be doing in regenerating artistic activities in towns, providing collaborative opportunities for artistic development and then showcasing the results. This show will have the effect of waking people up not only to the issues that the show explores but also how much talent there is in town. It will be a show where those artists and performers who perhaps thought about being part of it, but then for what ever reason did not get involved, will take a step back and go WOW; I wish I had been part of that. This production is only the second time the Wall has been performed as a show by anyone other than Pink Floyd. 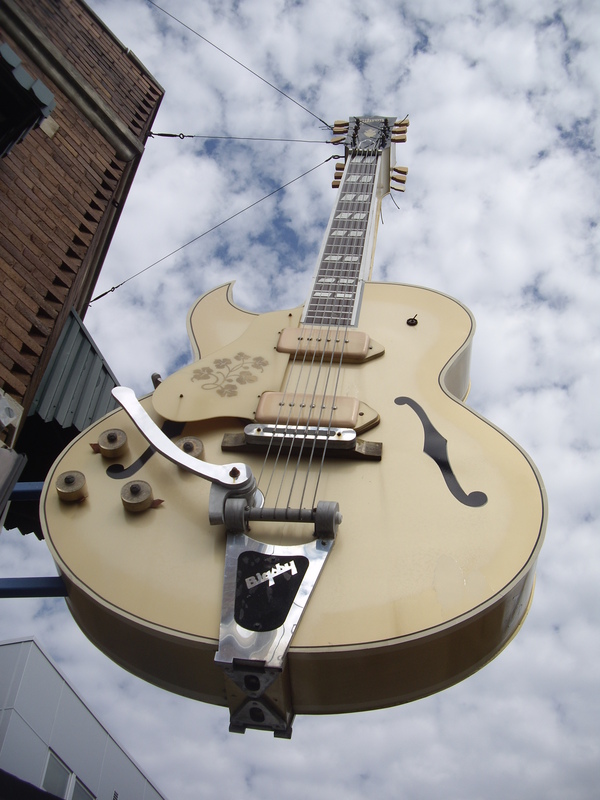 The first show was at The MAC in Birmingham about ten years ago and very much followed the original material. This show sees the original music performed by Floydian Slip but to a new, updated script written by Simon Quinn that brings in contemporary themes. 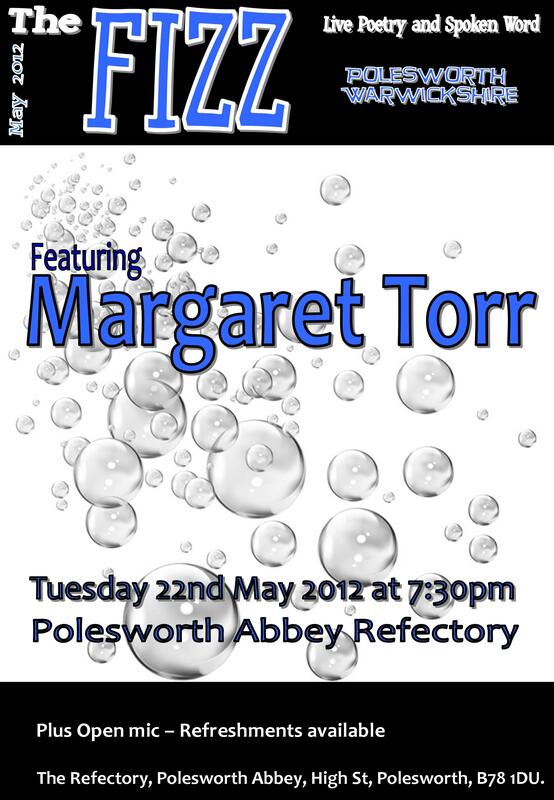 Ami Radcliffe of Radcliffe Dance is bringing brand new choreography to the piece. 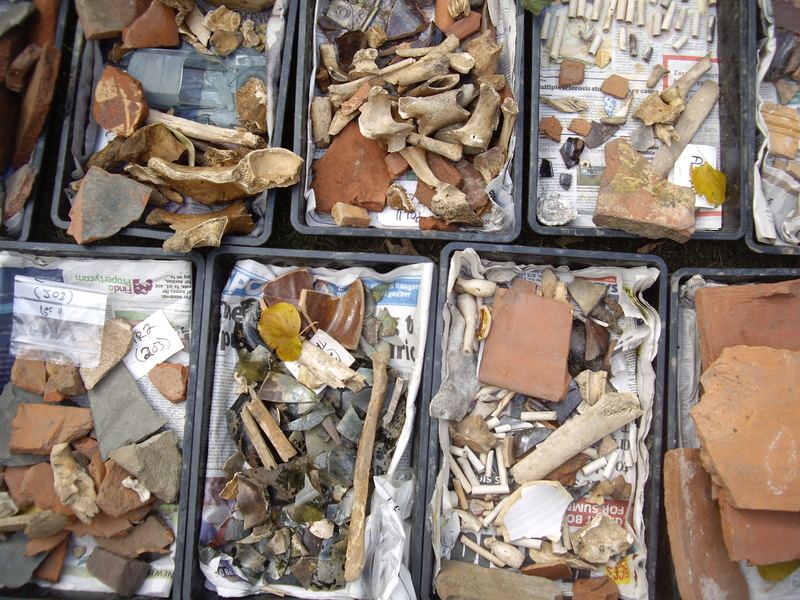 The show also introduces new poetry delivered as film or sound pieces. The show is performed by a cast from the local community that brings together actors, dancers, singers, poets, film makers and artists as well as backstage technicians, wardrobe team and promotions. All collaborating on delivering the biggest show that Tamworth has ever produced. Last week saw the final Community Café workshop with twenty community members of all ages taking part in creating new lines in response to the Pink Floyd song Comfortably Numb. I have planned out their sound poem on paper but have yet to compile it, a job for tonight. – I then have to take the lines of all three poems and create a final piece to be included in the show, but I need a day or so to think that one through. Thursday evening saw the Director, Simon Quinn and myself travel up to Chesterfield to meet with the band Floydian Slip at their rehearsal room. Our purpose was to map out the first act to match the music to the action and dance. We also needed to make the spaces between the songs for the film and sound poems. The real delight was to have one of the original Floyd tribute bands provide a personal performance the whole of the first act. It was an absolute surreal experience and I look forward to going back in a couple of weeks to map out the second act and then working with them on the shows. Saturday and a chance to get the camera out and record some poetry. The shoot took place at Tamworth Assembly Rooms and saw the first use of my backdrop to allow me to create a composite montage of poetry and war. 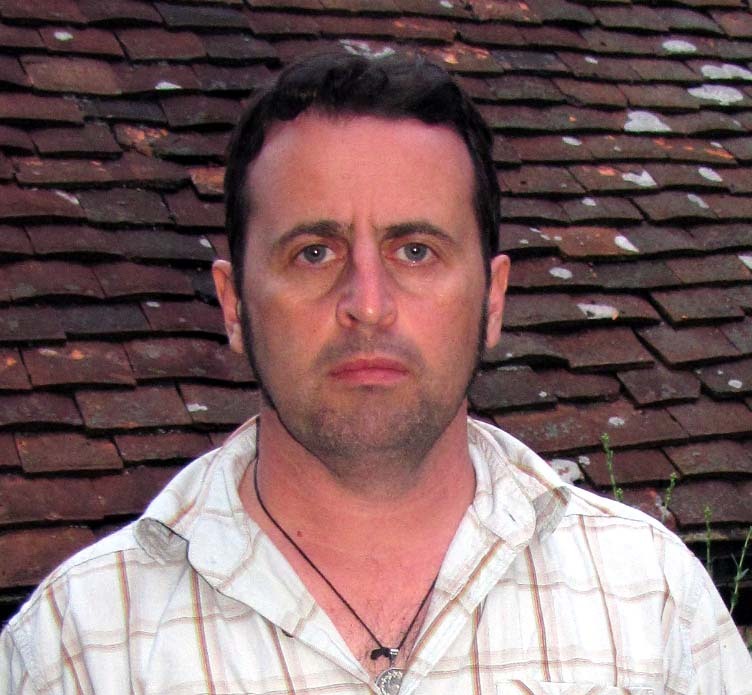 Antony Owen, the Coventry War poet came along to read the poems for the film, delivering some Wilfred Owen, August Stramm and his own poetry. 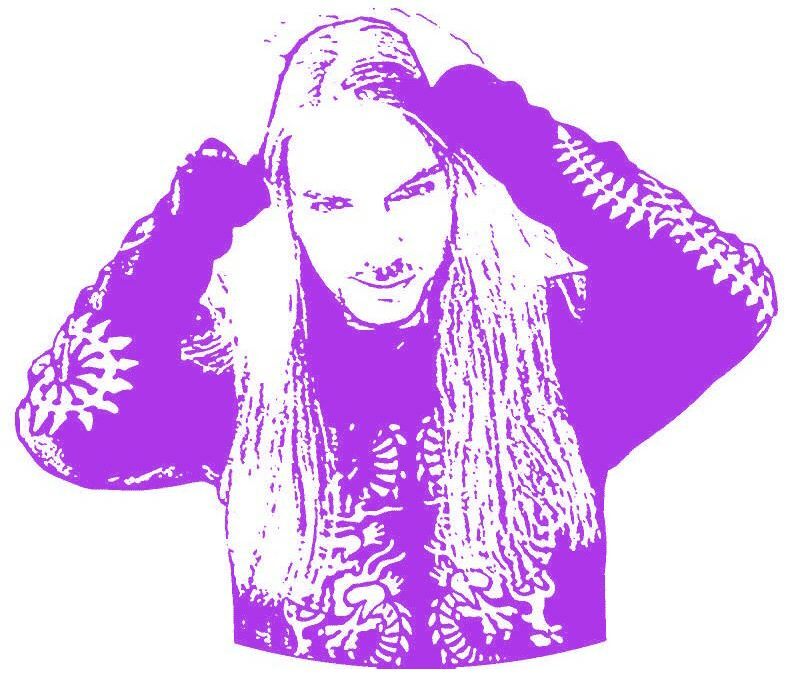 Antony is great to work with and his performance was professional and accomplished. I much appreciated him changing the town in the original poem to be Tamworth so that the piece for the show is specific to the town. I think this has a real impact, it brings it home, makes people think about how close the war and conflict in distant lands can come into our lives. Antony delivered excellent performances in a few takes that allowed time for us to experiment with some of his other poems and ways to express them on screen; I am really looking forward to working with these films in the future. Yesterday saw my temperamental software give me a headache all day as it failed to render the finished result of Antony’s performance overlaid with footage from World War I. I finally managed to get it sorted at 10:00pm last night and rendered the first draft, and even if I do say so myself I really quite pleased with it. THE WALL is being staged at THE ASSEMBLY ROOMS IN TAMWORTH – 6-8th June 2012 – Tickets are on sale from the box office or through the web, check THE ASSEMBLY ROOMS website for details. A spot on my cheek. It was a wonderful week of poetry last week. 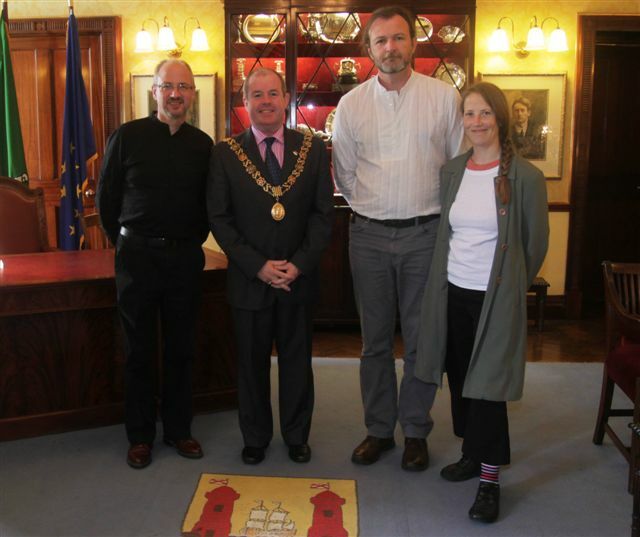 It started on Tuesday with the arrival of our guest poets from Cork, Afric McGlinchey, Colm Scully and Jennifer Matthews, as part of the Coventry-Cork literature exchange, which I was honoured to participate in back in August and wrote on this blog about what a wonderful uplifting experience I had. The return visit in the month that sees Coventry celebrating its annual Peace Festival, started with the reading at NightBlue Fruit at Taylor John’s House, the music venue that turns itself over to poetry on the first Tuesday of the month. The performance area is a small stage, surrounded by lost armchairs that have found a home under the arches of this once canal coal bunker, it is a faded, shabby setting that is very befitting of such events – poetry sits well here, in a way they it would not in the fake veneered shine of a hotel conference room. 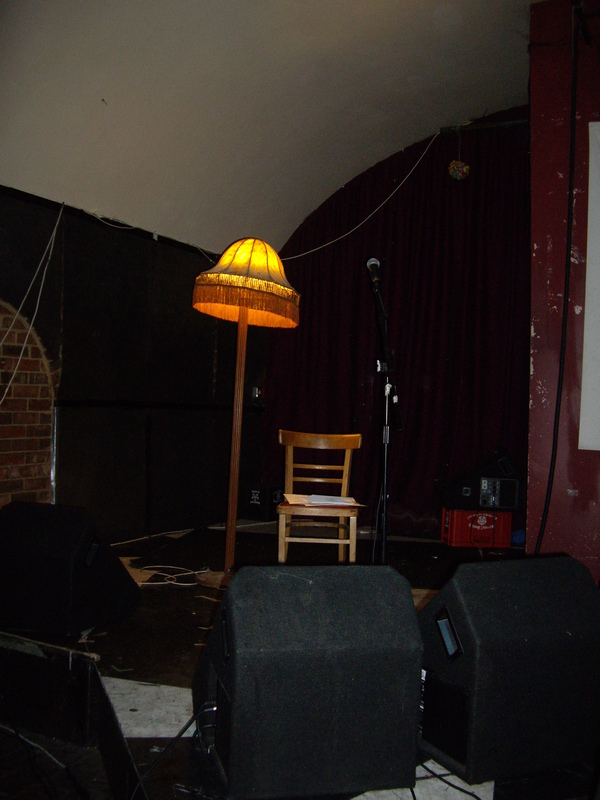 The stage was set with a chair and a mic and a lamp stand, which had wandered in from if not my then someone’s Grandmother’s sitting room, standing guard, providing mute light and quietly applauding the nights events with the shake of its tasselled hat. Nightblue Fruit - The Stage is set! 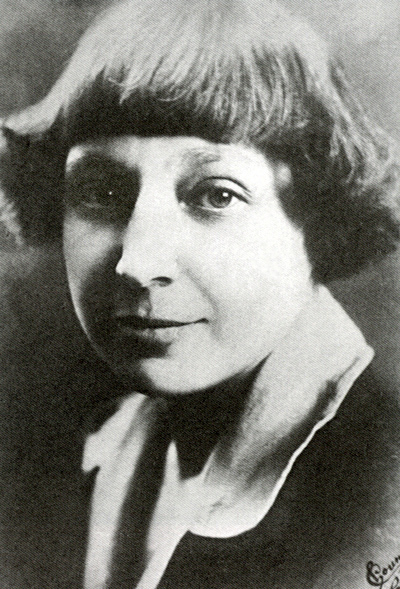 Wednesday and the poets had a day off, to explore for themselves, which meant that they could take the bus to Stratford to breathe in the atmosphere of the currently beleaguered Shakespeare, the current film at the cinema was ignored like it was some anonymous little voice that was spreading rumours built on unfounded facts. As the poets explored Anne Hathaway’s Cottage and the delights of a Stratford standing up to defend its claims. Thursday was another busy day for the exchange, well afternoon and evening, days don’t start early for poets but do tend to go on later into the night. The afternoon started with a visit with the Mayor of Coventry, who charmed us with his tales of his recent visit to Cork, how he mastered the art of eating oysters at the local oyster festival, his Irish ancestry and the importance of the twinning links and the cultural exchanges that the Coventry Cork Literature exchange brings to Coventry. Gifts were exchanged and photographs taken and thanks were given for all the support from the City Councils, O’Bheal and Nightblue Fruit. 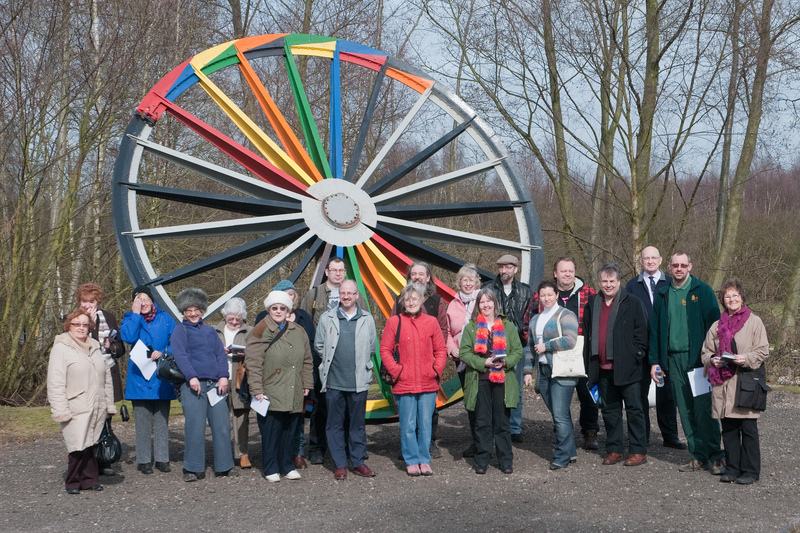 The reading in the evening was the Fizz in Polesworth, so I took the opportunity to take the poets to see the Poets Trail in the mid to late afternoon, explaining the significance of the trail, showing them the Fireplace where Drayton and Donne et al had written their verses, 400 years ago. By the time the sun had set, early at this time of year we had covered seven of the first ten installations and I had given impromptu readings of some of the poems to the poets and any other passers by who are perhaps used to the oddity of poetry readings on the High St and in Car Parks by now. After a spot of dinner at the Red Lion in Atherstone, we headed back to the Tithe Barn for the reading which was supported by a fairly large appreciative audience (large for the Fizz) – with several new voices reading from the floor. The evening started with the three poets from Cork, who were so popular that they we asked for an encore after the open mic in the second half, for which Colm Scully gave in to our requests and performed God’s Footballer. There were lots of appreciative comments on the web networks later including one that said it was inspiring and the best Fizz ever, comments like that make it all worth while and are a reward in themselves. 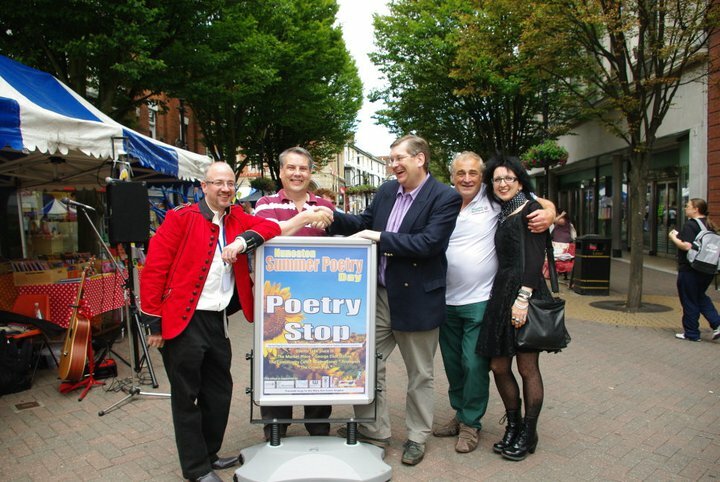 Friday saw the final full day of the Cork visiting poets in Coventry and we were booked to do an interview and readings on local radio at Hillz FM with the wonderful Kate Hills. Her easy going technique puts you at ease, with the mic’s slightly above our heads; she stands and faces you, so that you talk as if you are just holding a conversation in the room. We were booked in from 11-12 with chat and music of our choosing. 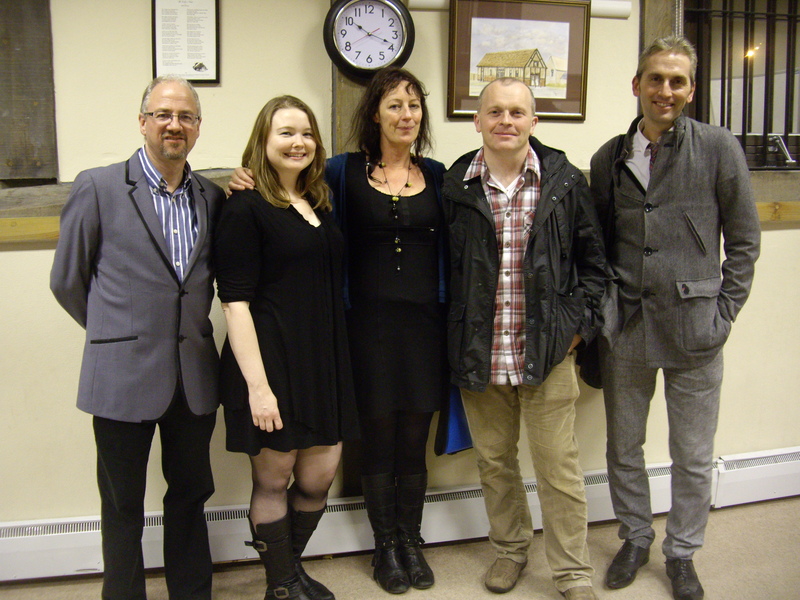 The hour flew by with the interview with the Cork poets followed by myself. By 12 there was a look of concern on Kate’s face and it soon became apparent that her guests for the second hour had not turned up, so she asked us to stay and fill the hour with more poetry and chat, which we were only too happy to do – it was a wonderful couple of hours. 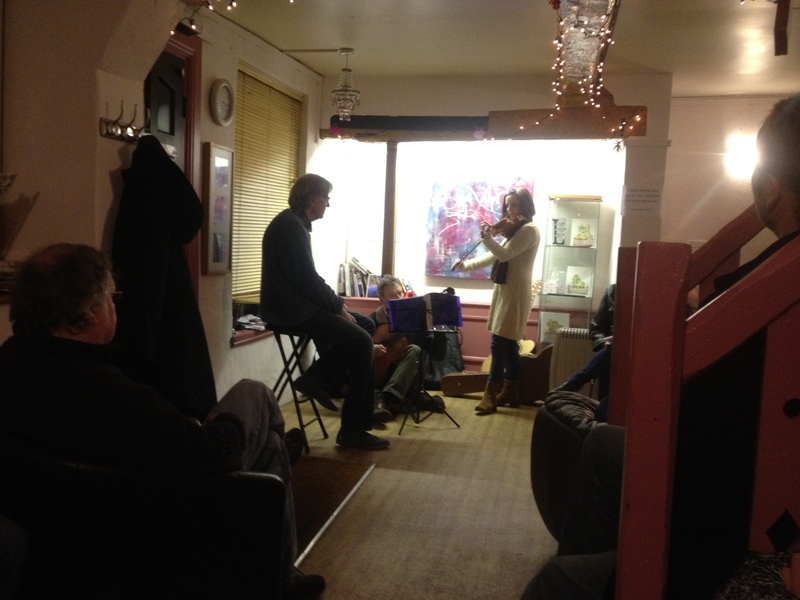 Thank you to Afric, Colm and Jennifer for their excellent performances also to Paul Casey and Antony Owen for organising the exchange and to Gary Longden for his reviews and to all those who attended the readings and gave their support. I look forward to this exchange continuing long into the future. 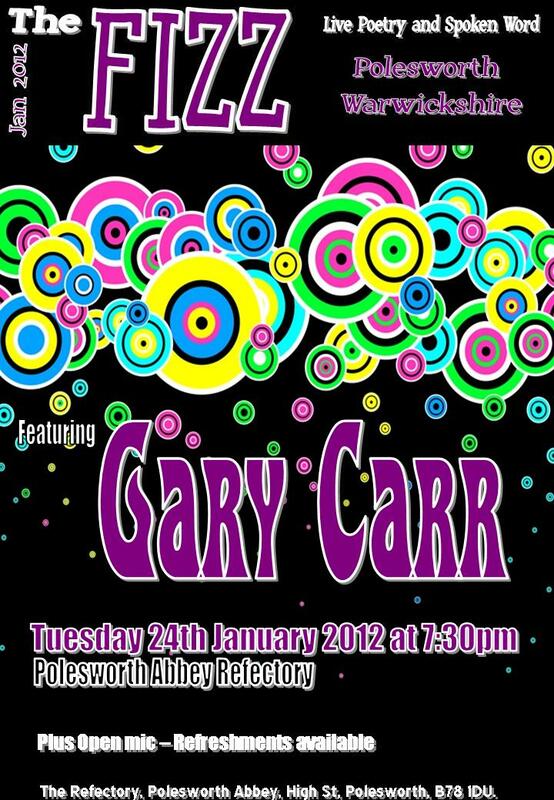 Both Brian Langtry and Gary Carr attended the Fizz and I was more than happy to promote both of their forthcoming events. Here are the details for those who missed them. 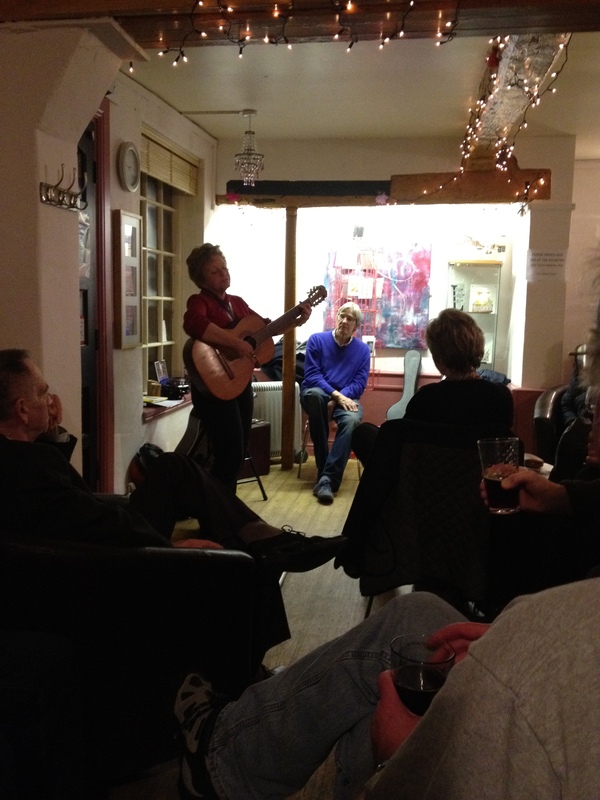 15th November – The Goblin Folk and Poetry Club at the Goblin Cafe – Ashby de la Zouch. 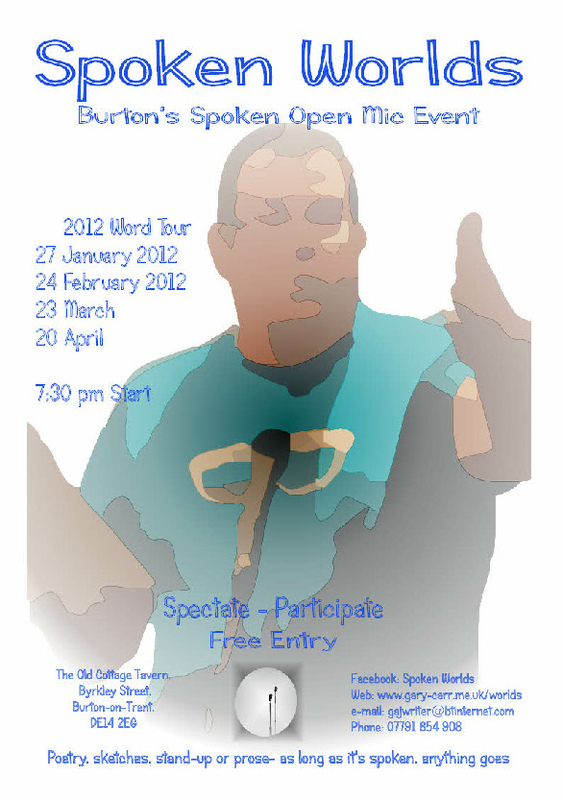 25th Nov – Spoken Worlds – The Old Cottage Tavern – Burton-on-Trent – Guest Ash Dickinson. 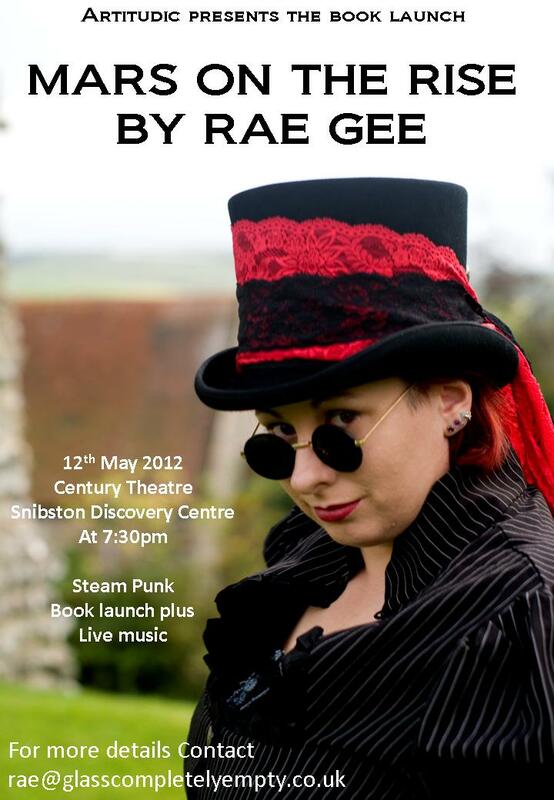 STEAMPUNK – what does that mean to you? Well if you are like me, until recently it was a genre of writing that continued where H.G.Wells and Jules Verne left Victorian Science Fiction but it was not something I had explored beyond that. 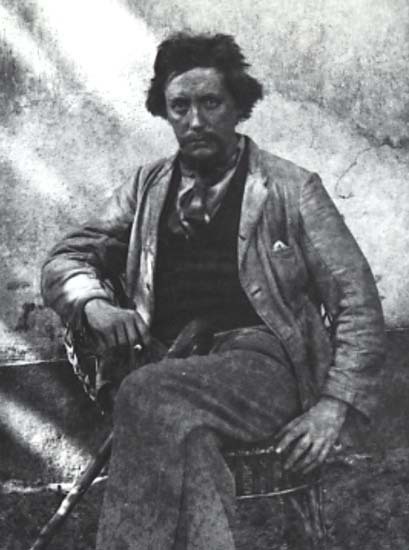 It is interesting that as a Poet – I would not write in the same form as say Wordsworth, as poets we are always looking for a new voice and that is what a modern poetry audience expects, “we already appreciate Wordsworth, we want to hear something new”. 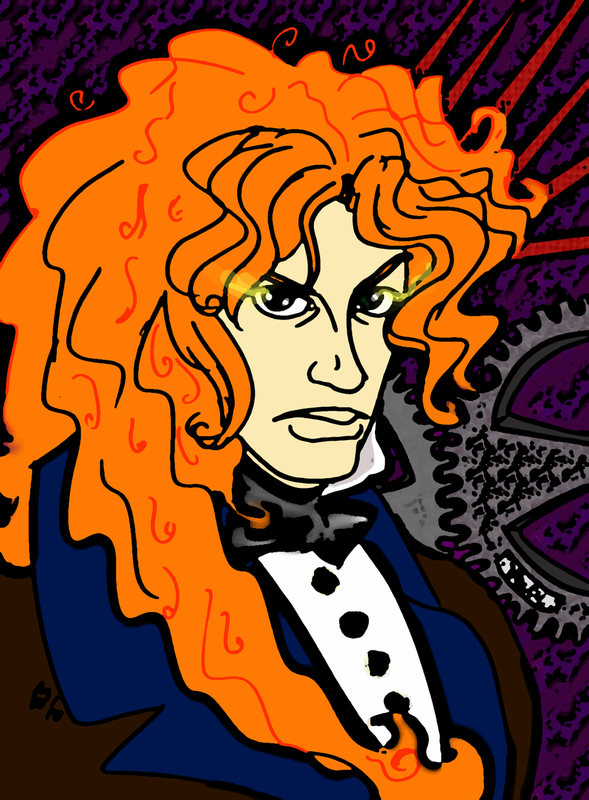 So why do Steampunk writers such as Philip Pullman, adopt the genre of Wells and Verne and write novels as if they had been written in the Victorian period, using 21st century technology that is powered by steam or clockwork? Well it could be argued that Wells and Verne created classic tales but only a few of them in comparison to other genre’s of science fiction and therefore it is an under discovered medium for novel settings. But is also has the freedom to explore ideas around changed pasts, using technology that we all understand in the 21st century and many of us use in our daily lives, but putting into a time when it would have been seen as magical, mystical even the work of the devil, however it is still a device, a force, to change the course of history. 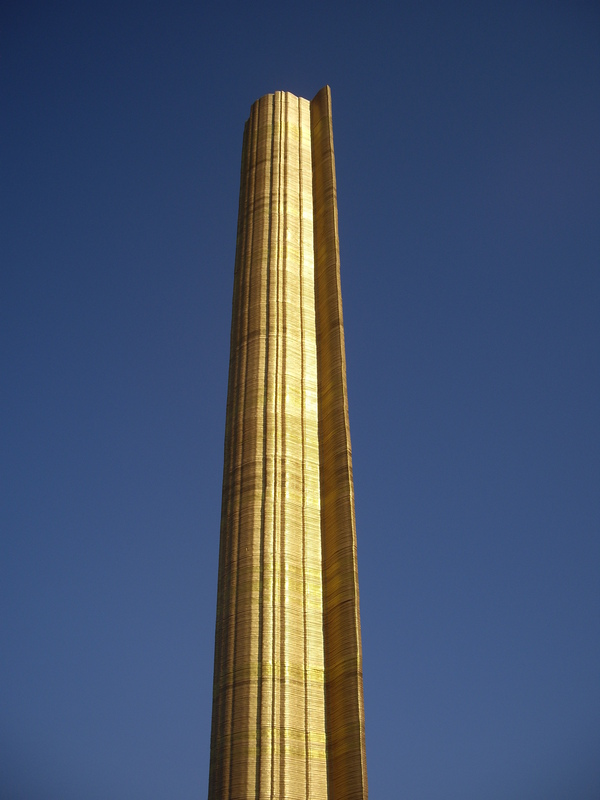 Steampunk is very big in the USA, most of the major publishers are based there, and most of the British writers of the genre have moved to work over in the states for this reason. 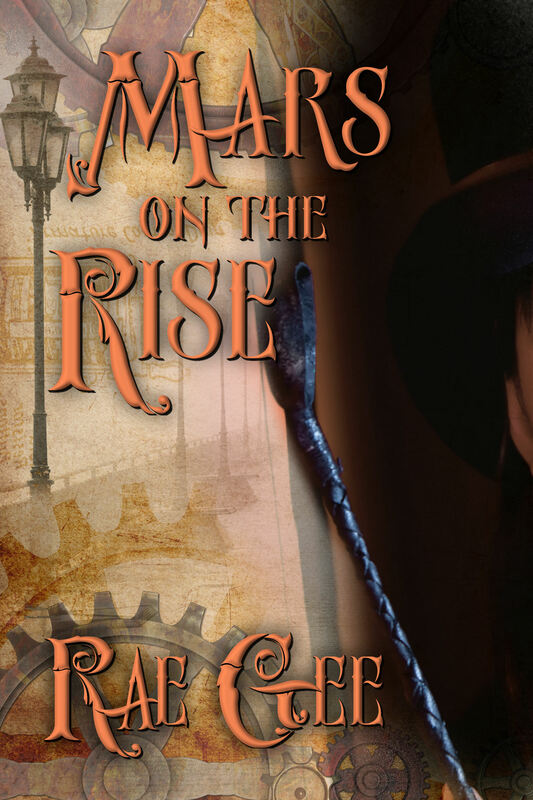 None of this was apparent to me until a writer friend of mine, Rach Gee, whose Steampunk novel, Mars on the Rise is due for publication early in the new year, explained why her publisher was launching it in the USA, but did not have a budget to fund a launch in the UK, despite her being a British writer, living in Britain. The Steampunk market is not the mainstream so I can see why as a small to medium sized publisher they are going to invest their marketing efforts to where they see the biggest return. Always being one to seek out opportunities, I thought that there must be something that could be done to create a small but spectacular launch for the book in the UK, after all we Brits are good at creating things on next to nothing (most artists will tell you that) so I along with another artistic friend set about looking at how this could be achieved. 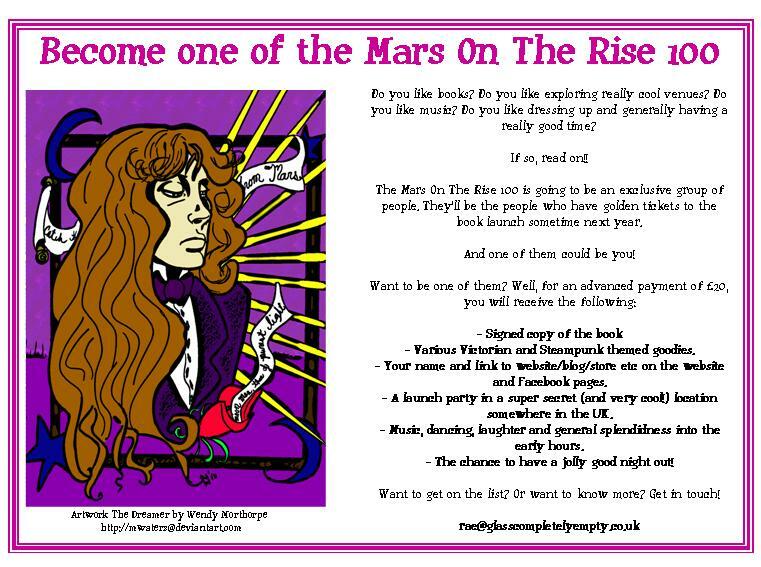 We have come up with inviting 100 people to donate £20 to become one of the Mars on the Rise 100 sponsors – for this advanced payment, sponsors will get a signed copy of the book, with some limited edition promotional materials plus an invite to the launch party but most importantly they will be recognised as the sponsors who had the faith to help make this happen. The response has been amazing with people signing up even before we had fully thought out what the rewards would be for being a sponsor. There are still opportunities for people to sign up to this – details are below on how to contact Rach or alternatively just email me at maldewhirst@yahoo.co.uk and I will pass on your details. Or check out the Facebook page. This will be a fantastic event, in an unusual space, with opportunities for you to dress up in Victorian Costume (if you want to – it is not mandatory) Plenty of theatre and colour. We will keep you informed through the on-line mediums as things develop and I will continue to keep you updated on this blog. And Hey if you don’t fancy Steampunk – it will make a great Christmas present for someone who does or perhaps they don’t know that yet. Why not introduce yourself or a friend to something new. I will return to my LOST POETS in a couple of week’s time.